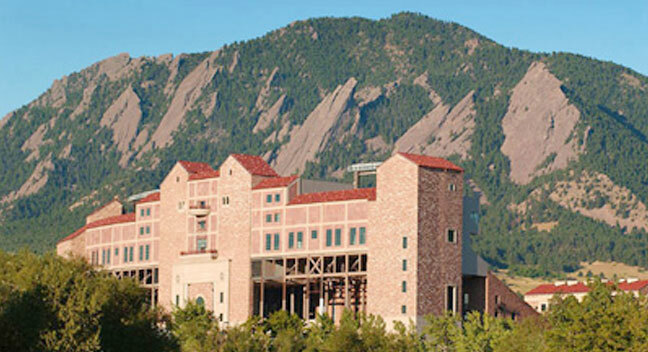 The University of Colorado's red sandstone field house added a club level including the Presidential Suite. 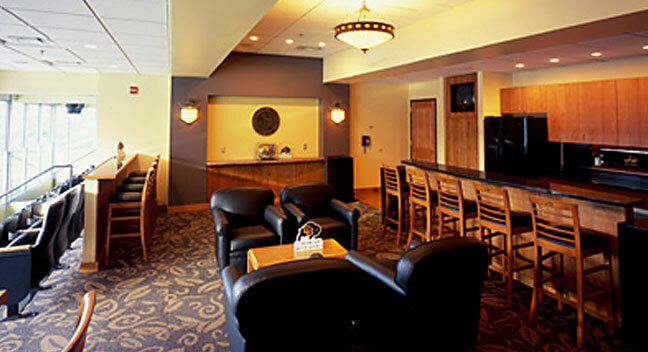 The Presidential Suite is designed for full-service catering for university officials. 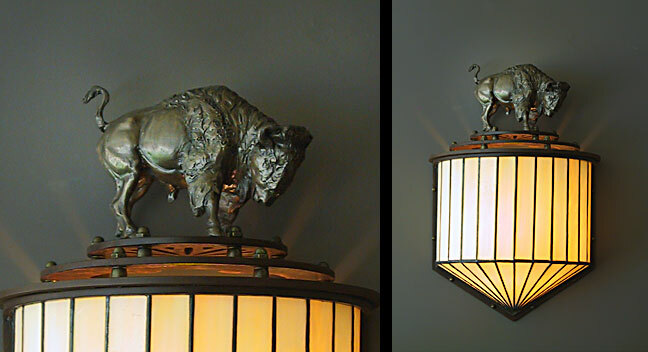 The custom bronze-and-glass sconces feature Ralphie, the mascot for the Colorado Buffaloes. 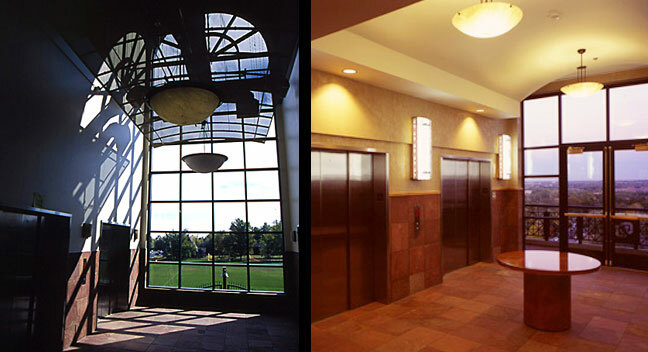 Just as the exterior is red sandstone, so too are the corridors and lobby.